There are lots of different regional teams that are going to make up Mountain rescue in England and Wales. This gives the organization a broader scope than it would have otherwise according to any overview. The volunteers for Mountain rescue in England and Wales are going to be called out by the police at different points. There are going to be lots of occasions where a group like this will be important. For the most part, Mountain rescue in England and Wales is going to look for missing or potentially injured individuals in areas of high elevation, much as their name suggests. However, sometimes their exact activities are going to blend into the other activities associated with search and rescue teams in the UK. The volunteer members of Mountain rescue in England and Wales are going to be trained in many different search and rescue techniques, so they are going to be able to handle a wide range of different disasters. A lot of the people involved are going to be called to help during some of the worst disasters in local history. Having just a few extra able-bodied people can make all the difference. Different Mountain rescue in England and Wales teams might work in animal rescue, water rescue, support for NHS ambulance services, searches for missing people in other areas, support for governmental agencies and emergency services during periods of extreme flooding and extreme snowstorms, and support during different evacuations. 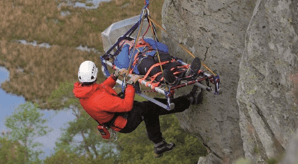 Mountain rescue in England and Wales can really make all the difference in the world during some of the most stressful points for the emergency services in the local areas, and this is going to make things better for many of the victims involved. This is specifically a lowland search and rescue team that is concerned with providing community support for the local police and many of the other emergency departments that are already in place in the area. Berkshire Lowland Search and Rescue has been around since 1980 and it was founded by John Cowling. The idea was that an organization like this one could provide valuable community support when the emergency staff members were overwhelmed and they just needed some additional bodies to assist them, which is certainly the case sometimes. Berkshire Lowland Search and Rescue specifically serves Berkshire, England. The volunteers of Berkshire Lowland Search and Rescue meet regularly for the sake of first aid and safety training, and this allows the volunteers to have the sort of stable background that they need in order to be effective at what they do and in order to better serve the community. The Berkshire Lowland Search and Rescue members are typically going to meet once a week or so in order to make this happen. Berkshire Lowland Search and Rescue is funded entirely through its own fundraising efforts, and this is how an organization like this one manages to stay around today. There may be some major grants and donations. However, for the most part, this is a community organization that relies on the community in its own right in more ways than one. Berkshire Lowland Search and Rescue administers everything from first aid to complicated search and rescue work. 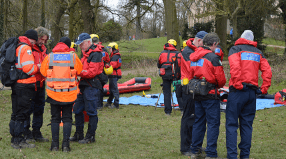 The Severn Area Rescue Association is a search and rescue organization that specifically concerns itself with the Severn Estuary area and the upper reaches of the River Severn area. In the United Kingdom, this is the very largest of the independent lifeboat services. It has been around since 1973, and there are usually going to be two hundred volunteers there at any given time. The Severn Area Rescue Association purchased its first boat in around 1977. The Severn Area Rescue Association has been a registered charity since around 1976. There are no paid employees working through the Severn Area Rescue Association at all, and all of their money is supplied by generous donations. They have managed to get a lot of mileage out of this situation. Severn Area Rescue Association operates through four different stations: Kidderminster, Worcestershire, Beachley at the Welsh border, Sharpness in Gloucestershire, and Tewkesbury in Gloucestershire. This gives the Severn Area Rescue Association a fairly broad reach and it should allow the organization to respond to a wide range of different issues. Severn Area Rescue Association is a mountain rescue team in addition to a search and rescue team that concerns itself with marine disasters. 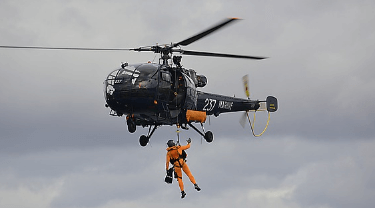 As such, unlike some of the smaller search and rescue teams in the United Kingdom, this is a search and rescue team that has a fairly broad scope and that is equipped to handle many different disasters. Their small staff is nonetheless a very capable one. Severn Area Rescue Association has been influential in flood rescue as well. This is an organization that specifically concerns itself with the rescue of people and animals in the neighborhood of the fells and caves near Wharfedale, Nidderdale, Mid-Airedale, and Littondale. This is one of the smaller organizations of its type, since it has only around eighty people staffing it at any given time. It’s also entirely a volunteer organization, which is going to make it different from some of the search and rescue teams in the United Kingdom. It’s actually one of the oldest teams of its kind in the United Kingdom, and it is a vital part of the local emergency services in spite of the singularity and narrowness of its mission statement and activities. The areas that the volunteers are going to patrol are still places that are full of lots of issues, and it is possible for the small staff to be kept busy just in the context of saving people from the fells and caves in this particular area. This is a team that has already received about a thousand call-outs since its inception, and it is going to continue to be a valuable group as the years progress and more people are going to have the opportunity to visit some of these dangerous areas independently.